A RainSoft home water filtration system is an innovative solution that can be customized to address any of a wide range of additives and impurities that could be affecting your household water in Tampa, Florida. Since 1953, RainSoft has led the industry in developing water treatment systems that consistently deliver exceptional results. But, don’t take our word for it. All of our products are independently Tested and Certified to industry standards by the Water Quality Association (WQA). The WQA Gold Seal Product Certification Program provides confirmation that a product is safe, reliable, durable, and capable of meeting or exceeding the claims in its advertising literature. In short, when you purchase a RainSoft product, you purchase peace of mind. For more than half a century, customers in Tampa, FL, and throughout the world have been enjoying and benefiting from that peace of mind. 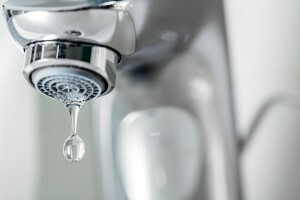 If this sounds like something you might be interested in, you can begin by scheduling a complimentary in-home water hardness and drinking water test, during which an authorized RainSoft dealer will visit your home at a time that is convenient for you, obtain a water sample from the kitchen faucet, and perform our analysis. Immediately afterward, we will go over the results with you in detail and answer any questions you might have. With this information, along with our expert recommendations, you’ll be well prepared to make informed decisions about water treatment for your home. Choose RainSoft, and experience a dramatic difference in the water you use every day in your home in Tampa, FL. To learn more about purchasing a home water filtration system, or to schedule your complimentary in-home water test, contact a local authorized RainSoft dealer today.